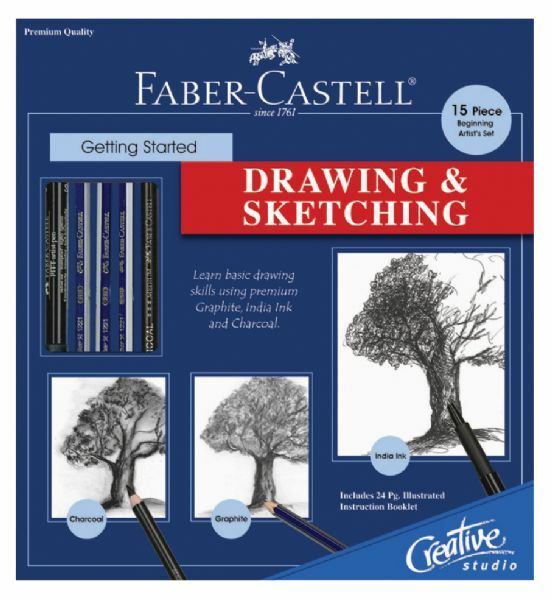 For students artists and hobbyists ages 12 and over. * Complete sets that teach simple steps and basic techniques. * All sets include a 24-page how-to instruction booklet with tips and techniques. * Set includes: 3 Graphite Pencils (2H HB 6B) 1 PITT Charcoal Pencil (medium) 1 PITT Artist Pen (superfine black) 20-page spiral bound drawing sketchbook 3-3/4" square viewfinder clear copy grid (4"x6") pencil sharpener pencil eraser.